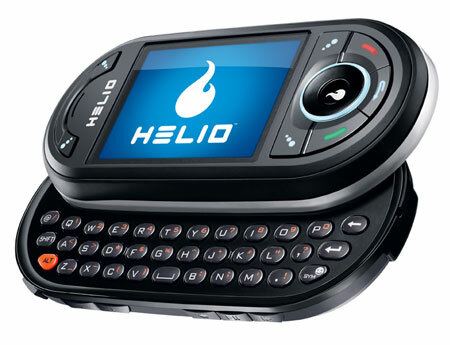 CTIA 2007 -- Jon Gales -- - The Helio Ocean by Pantech is the first major handset announcement out of the annual CTIA conference. Highlighted by a unique dual-slide form factor, the Ocean is the most unique Helio handset by far. Executives at the startup carrier have been buzzing about the device and noted that this device has actually been in development since before Helio was officially a company. The Ocean has both a numerical keypad and QWERTY keyboard. With the numerical keypad slid out the device looks like a conventional slide-style handset and behaves as a phone. With the QWERTY slid out the Ocean transforms into what's best described as a Sidekick competitor. The Helio Ocean will go on sale later this Spring for an estimated $295. It's an exclusive to Helio. MobileTracker will have more on the Ocean as soon as we get a hands-on look.